I suppose you must have asked yourself some questions on hiking and couldn’t answer all or you probably asked someone and the person has little or no clue on what you asked. Are you worried? 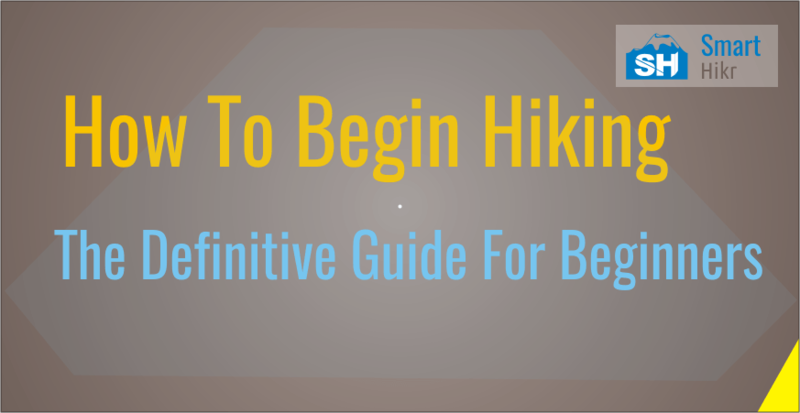 In this post on how to begin hiking, I will be showing you everything you need to know as a beginner to hiking like a professional successfully without the fear of getting lost or from not knowing what to take on a hike. The first thing to do as a beginner is to plan your hike. You really need to know what you are getting into. A simple step of the plan is, Know your objectives and list the methods to achieve your objectives then the resources required for the methods to work. Let’s assume you want to hike the Pacific Crest Trail. #1 I will need to start the hike on time, take lesser breaks, maintain good hygiene so as not to get sick, avoid all forms of pain and mental fatigue. #2 I will eat always to keep my energy up, take a lot of water to keep hydrated, take a nice but rigid footwear, I will probably need resupplies. #3 Though I will eat always, I will also try to minimize it, eat more nuts and fruits etc. To have a successful plan, you need to be adequately informed. Well, that’s what you are here to do. Only this information won’t cut. Which brings us to the next point. MOney is Baine of everything right? Yes. But not in all cases anyway. 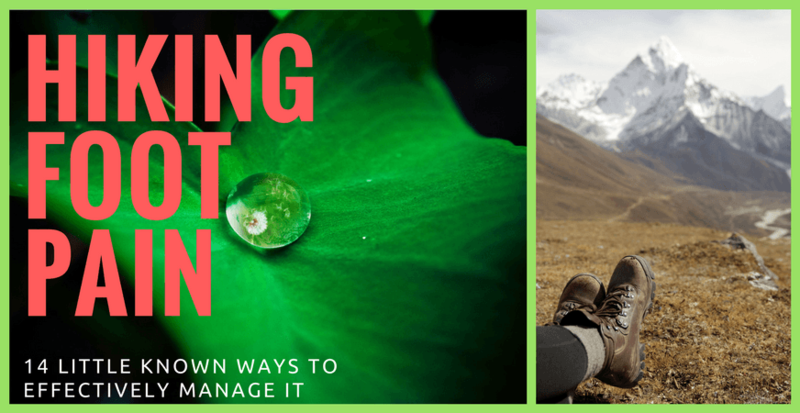 You will need lots of resources when you are embarking on a hike. Depending on the distance of the trail – footpath, and how long you plan on staying outdoors, these resources might not be too much. In essence, your resources are the primary determinant of how much you would need to start your hike. Don’t forget you will need required permits, you will purchase gears and food, and prepare for resupplies. In the case where you don’t have enough money but you feel the need to go on, you can simply borrow gears from friends. Though I made mention of the Pacific Crest Trail, I only used it to portray a point. As a new hiker, you are to choose what suits you. And what suits you? A short distance hike that can be completed overnight or maximum one day. You might say you have a brother who has done this ten times over and that he’s a Pro. I will do what he does. Shocker news! When starting a hike for the first time, your four major muscles that are, the spine, gluteal, muscles that are responsible for movement are as new as you. They don’t have experience of hiking other than walking. They will need to adapt first before doing what a pro does. The moral lesson here is for you to start small. How To know The Distance of a Hiking Trail? This process is relatively easy. You can either ask someone or check it out online. Voila, calculate the distance of the starting point to the end point by clicking on the map. Note. It’s better to ask someone familiar with the route because other sources including Map pedometer are unreliable. Choosing your hiking trail is somehow the same as determining the distance. Only that the former is abstract. Finding is a bit easier. You can use guidebooks, and other resources like trails, AllTrails to find a trail. Choose a trail by the city to get all the necessary information. In this case, I clicked Alna trails. This will reveal all the information you need to know. E.g trail type, length (distance), skill level, duration, topo map, A guidebook, driving directions and trail direction. You really don’t want your loved ones to start looking for you everywhere while panicking. Before leaving, tell someone, at least one person where you are going. On the other end, you will feel more fulfilled when you tell someone about your hiking accomplishments. So, put someone in the loop. These are hiking essentials to the core. A map gives you a visual form of your hiking landscape on paper. Without being there yet, you can know almost everything you can about your hiking destination from a map with the accurate illustration given. You can also calculate distances. A compass and a map go hand in hand. You can use the compass mainly for navigation and orientation. A compass shows you your north, south, east, west directions while on your hike. If mistakenly, you decide to head east with you little geographical knowledge, cross check with your compass. You may be surprised to see that you are actually heading north. What I will just do here, is to get you familiar with some terms, then I will refer you to where you can get a complete tutorial of how to use a map and compass. I would love to tell you what I know, but I think it won’t be enough if you really want to hike safely in unfamiliar terrain. Map orientation – it means which part of the map is indicated to be North. Most times, the top is north. Map scale – It’s the ratio of real distance and map distance. The real distance is always bigger. Say, 1:25000. It’s in the very map you will find. Latitude and longitude – These distances recorded in degrees. Latitude in degrees north or south of the equator, Longitude in degrees east or west of the Greenwich Meridian. Contour lines – shows you from the map the if the ground surface is flat or high. Some maps indicate this with numbers. Legend/Key – this is how maps represent data. Something like e as a key means stream on the map. Check this tutorial out for further reading. Like I said earlier, a compass goes with a map. The ability for you to start navigating any terrain with a compass a map is priceless. Check this tutorial out or this. This is as important as the hike itself. Hike local guidebooks are your encyclopedia in the realm of hiking. 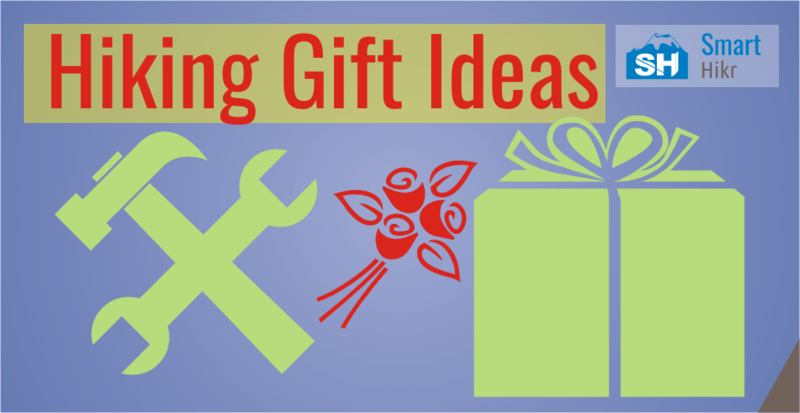 Most often than none, you will need to buy one because free ones are pretty hard to get. Guidebooks usually tell you everything you need to know about your trail. It gives you a detailed account of what to expect. If there are wild animals on the trail, elevations, duration, types of vegetation and even the birds that you would see. Also, they contain clear directions of the path to take, where to turn right or left and landmarks too. You can get a guidebook online (using the method stated above) or in an outdoor store so easily. Here is a quick search I did use the link above. REI (Recreational Equipment Inc.) is the largest outdoor store online. I clicked one of the categories (Washington) to get what I want. If what you are looking for is not there, just google it. Essential items are so essential. From the word alone, you could tell that these items are none optional when you decide to hike your trail. Be it 50 minutes, 1 day, 2 days. Am really sure you know what a first aid kit is. Care for me to explain? Ok. A first aid kit is a medical box that contains medical pieces of equipment used for the quick treatment of injuries gotten from an accident (mostly minor injuries). You will need one while hiking ‘cos anything can happen. Almost every home has one of this. Am pretty sure you have one. So, what are its contents; alcohol-free cleansing wipes, tweezers, plasters, scissors, triangular bandages, distilled water for cleaning wounds. These are the essentials. But you can get everything for your own good. You will also need a GPS when on the trail. It helps you navigate in conjunction with a map and a compass. A GPS functions by sending signals to satellites that are above us and those satellites, in turn, sends the time those signals were sent. A knife while hiking is a primary survival tool needed. There are others. But a knife can carry out some tasks so easily. Like using it to slice “whatever” when you are about to cook. You can even kill a snake (don’t dare) with it if you are tough. But it’s best to avoid such things. Maybe a Swiss knife will do. People usually die of hypothermia. I mean, it’s something you don’t wish for anybody. As you have already heard “prevention is better than cure”. Ignore the weather forecast, always take waterproof clothing with you for your own protection. Your regular clothing will not cut it. Some pretty good ones are the “Canada Goose Alderwood Shell, Columbia Outdry Extreme Platinum”. You can get any of these online. I know you are already asking what’s the science of it. Don’t worry that’s what I’m here to do. Check the about page. There are actually two processes involved in making waterproof items of clothing. These processes actually involve several layers (commonly two or three). The first process is the use of durable water repellant and the second is the use of a laminated membrane just like in umbrellas (i really didn’t want to bore you with the other details). Duct tape is actually a cloth of three layers. Though it has different uses, in your case it will be used especially on the friction points of your hands and legs to prevent blisters. You can use it to hold other things together. Fact: A duct tape can adhere to a wide variety of surfaces. That it takes apple core 8 weeks to biodegrade, orange peel and banana skins 2 years? One way to practice the leave no trace ethics is to take a trash bag along where you keep banana peels, apple cores, cigarette ends, plastics etc. According to 12news, a trash bag could help save your life. Weird, right? Yeah. That’s what I said to myself. Check it out, it’s pretty amazing. You Use them to start a fire or to light the stove for cooking. Maybe I should explain what it is assuming you came from Pluto. Matches typically have two parts. The wooden part and the part that generates heat when struck with a surface. The part that generates heat is made up of a chemical substance (an acid). Without this part, there is no way you will get a fire. Keep the entire matchbox from wet conditions so that they can perform their purpose. It’s also important to take a flashlight with you. Flashlights are useful only at night when hiking or in your camping area, To check if there’s a bear around or a reptile. It generally makes you feel secure at night. Take a hat so it can shield you from the sun. you should aim to protect yourself from getting burned while on your hike. Take sunscreen and a sunglass. This point is highly dependent on your time of hiking. The importance of water during your hike cannot be overemphasized. In the whole of the hiking community, there’s one thing that everybody will agree on. “Always bring lots of water”. While on your hike, drink a lot of water to stay hydrated. Always take one liter of water for every two hours for yourself only and also take extra water. You can basically calculate the amount of water to take per the time you are spending. Let’s assume you are going out for two days. You may not necessarily take the 24 ltr if the weather is cold or you only want to day-hike. If peradventure you didn’t bring enough water but then you see a stream or river, it’s best you purify the water first before drinking. Most water bodies are not naturally clean for consumption because of microbes – microscopic living organisms. Boiling of Water – This is the most common form of purification. Use a stove for this. Chemical Purification – The use of Chlorine Dioxide Tablets can achieve this. There are other four methods that you can use while on the go. Water is queen, food is king. You need food to keep energized, refreshed and healthy. Just like water, the amount you will carry for you hike depends on the distance of your trip. The use is pretty obvious. Use the bowl and spork (spoon and fork) to eat, while the cup to drink water or other liquids. Well, you can also use the bowl instead of the cup for the same purpose. In addition to nuts and fruits, take some canned food along. These are heavy meals you should eat when you are taking a break. This bag holds your food. As the name suggests, it is to protect your food from bears by actually hanging the bag on a tree or something with a strong foothold, high enough to prevent the bear from getting to. You can put other items to it. Medicines, cooking gear, batteries, duct tape, insect repellant, spoon, toothpaste, and toothbrush. Peanuts, walnuts, almond, cashew nuts are an example of nuts you are to take on your hike. Nuts generally have a description of having a hard shell which is inedible and a seed which you can eat. Other examples are Pecan, Pistachio, Brazil nut, Hazelnut, Macadamia. Nuts are a good source of proteins, fats, and fibers. The idea is that they are natural fruits, which means the nutrients obtained from them is healthy. Some of the nuts mentioned here are antioxidant, others reduce cholesterol to the normal level. It would be good if you have nuts in your arsenal while on your hike. Also, not to be on the wrong side of things, take bananas, apples and other fruits to supplement your nuts. Contrary to what others are saying about granola bars, they healthy are to eat according to this study. This is just not only it, but there are also several mixes of granola bars which you already know about. From my experience, it is best to make homemade granola bars with you. Get recipes here. At the end of everything, you really don’t want to start begging for food or the worst, you decide to quit your hike because of lack of enough food. The moral point here is to take extra food with you or plan for resupply. While on your hike, it becomes important to be comfortable. You have to drop anything that would put you all over the place. Anything that makes you feel uncomfortable. Pants whether long or short are needed on the trail. Pants can keep you from catching a cold so it is not advisable for you to go hiking pantless. They give comfort, freedom of movement, far better than what jeans can do. There are hiking pants for men and women as you might have noticed. Choose the one that bests suits you. Your footwear plays an important role in your hiking journey. It helps to secure or protect your feet from anything that might sore it. That could be anything. Rocks, pieces of wood, what have you. Since you are starting for the first time, any of your footwear should not be new ones. They can cause blisters which will then make the hiking journey less interesting for you because you will be dealing with pain. We have lots of footwear out there (eg. shoes, sandals, boots, socks). Some are made of plastics, leather, fabric. In our case, we will need the ones made of leather. Hiking boots and shoes. All hiking boots are not created equal, always check to see the one that fits you. Some good examples are the Men’s Crestbound Gore-Tex and the Women’s Phaserbound Waterproof. Also, you can try sneakers that you think can be used in rigid terrain. Try Salomon X Ultra 2, Merrell Moab Waterproof. Note: Hiking boots are preferable. Depending on the distance, hiking without socks could literally be uncomfortable. Your boots even when they are not new can still cause blisters without socks. Socks are made of fabrics which help to cushion your feet while hiking to prevent blisters. Though some persons don’t use socks for their hiking journey it still doesn’t mean it’s not needed. I don’t really have much to say on this. Check waterproof clothing above. But the criteria for selecting or buying a shirt should be that it can wick away moisture, hide odors and that they are lightweight. Now, you have started your hiking journey. You need to observe and do some certain things to remain safe, practice some outdoor ethics. Let’s assume you studied your map carefully and you could tell from the key/legend what symbols meant and all that, it is time to point them out on the ground (real-time). Landmarks could be anything from the ordinary. Something distinguishable, that attracts attention. A monument, lake, mountain or a building. By referencing these landmarks with your map, you can tell easily where you are on the map. This helps to guide you from getting lost. It also builds confidence in you (a newbie). Let’s assume you are close to a stream which also is on the map, look at your map to determine where the next landmark is (check the legend). Let’s say a swamp. If the distance from your current landmark to the next landmark is in 2 miles, all you have to do is walk in the given direction until you get to the next landmark (a swamp). Use a pedometer to calculate your distance. Pretty easy right? Of course. Repeat this process until you get to your final destination. Not to be confused, begin navigating at the trailhead. The trailhead is the starting point of a trail. There is other information you can find at the trailhead. Your body’s main source of energy is the food you eat. Eating regularly replenishes the energy lost while you are hiking. The rule here is to eat your snacks, fruits, nuts while walking and your break should be for large meals. Also, water is no exception. You have to be hydrated always. So, drink lots of water. The reason for this excessive drinking and eating is that as you are hiking, your metabolic rate, that is, the rate at which your body processes food is increased as opposed to when you are doing nothing. Your lungs, kidneys, liver and other organs perform more functions. Lots of energy is used up and more are needed. Make a decision whether to hike alone or with someone. As a beginner it is best you hike with someone. It is dangerous to hike alone for the first time. Check if there is an official bathroom around probably from your map or guidebook. Walk in a not-so-far distance to check if you can get to it. In the scenario where you cannot find one, walk from any water body in a space of 200ft to do your thing in a biodegradable material (eg a WAG bag). Bury it when you are done. Or you can decide to dig the ground to do your thing directly. Always understand and appreciate other people engaged in outdoor activities, Don’t mess with wildlife instead respect them, always leave behind what you find, dispose of waste properly, don’t let campfire get out of control, etc. Let the sleeping dog lie. No matter how distracted you are, always watch where you step your foot on. Mostly watch out for snakes since they are had to see because they usually stay under dried leaves, rocks, what have you. From what I can tell, most snakes are poisonous. Their bite can cause instant death and other times between a time frame of 48 hours. Please stay focused. Getting lost is something not to be taken lightly. Beginners and professionals alike are victims of this. Always stay on the trail to avoid this. If at any point you notice you are lost, check your guidebook, map or Gps to confirm. If indeed you are lost, just follow your footsteps in reverse to where you veered off. If its pretty worst than you thought, call for help by shouting, placing a call to 911. Other than the leave no trace ethics, there are others you need to observe while on the trail though they are unwritten. Some of them are a bit controversial, others are just about right. Hikers going downhill should yield to those hiking uphill. 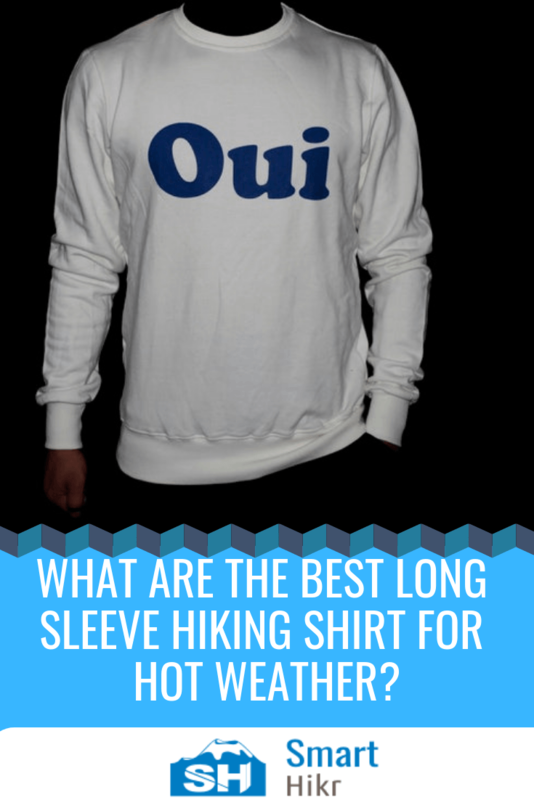 This one is a controversy for the hiking community. Some actually think is wrong except for vehicles going uphill. Do not obstruct others by blocking the trail. Leave what you find behind. You are only to take home what you brought. One of the many reasons go on a hike is to be free from urban noise. When hiking, hike quietly. You should not play your music out loud. Some trails have bikers and horses passing by. When they are coming, step off the trail to be on the safer side. Be friendly with everyone and have fun. Let’s assume something happened by mistake and you got lost. The list below are items you need to be in possession of, to use until someone finds you. Water – To stay hydrated. Warm Clothing and/or Shelter – To avoid any form of weather challenges. Rainfall or intense sunshine. Survival Gear – This includes a knife for offense or defense. A Cell Phone – To call for help, Call 911 or someone you know. I decided to list some important ones (the ones you need) out. There are usually single words for all these explanations to keep everything simple and easy to say. Base Weight – This is the weight of your backpack and all the gear inside it. Excluding food, water, and fuel. NPS – Short for National Park Service. They are responsible for the protection of National Parks including wildlife in the U.S. Section Hike – is a term used for those who can’t complete a Thru-Hike in one effort, instead, they choose to do it bit by bit. Trailhead – it is usually the starting point of a trail and also the ending. You will know when you see yours because it might have a parking lot or signs about the trail. Thru-Hike – is hiking a trail with a minimum distance of 100 miles completely within a week. The people that do this, are called thru-hikers. You are not going that far yet. Understand?? Trek – it’s a hike that takes more than one day (multi-day hike). Yogi-ing – otherwise known as begging, it’s an act of asking hikers to assist you with food because your own probably won’t be enough. Zero Day – it is used to describe people who spent two nights in a campsite without moving an inch. There are lots of reasons that can cause this. These few terms is by no means all of the terms you need to know. There is a huge list of them here. 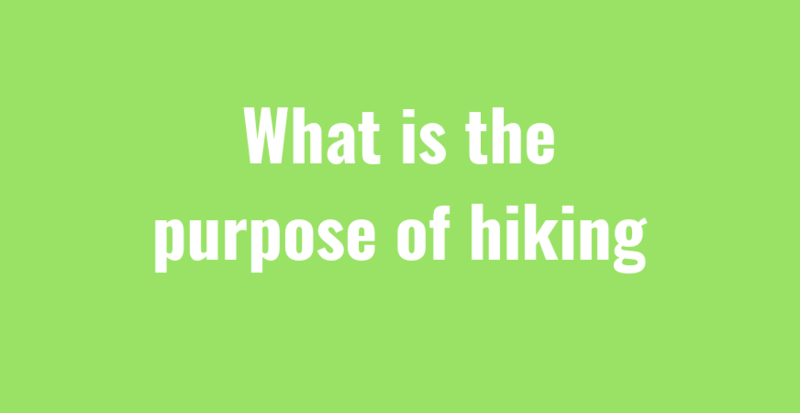 Get familiar with them, so that you can understand the hiking community better. From what you have read so far, I believe you now know what it takes to hike for the first time and to be a successful hiker for the first time. It is not enough to just read, it is best you practice what you have read. So, get up and prepare yourself for a journey that will make you lose calories for fitness, clear your head from work and urban noise.